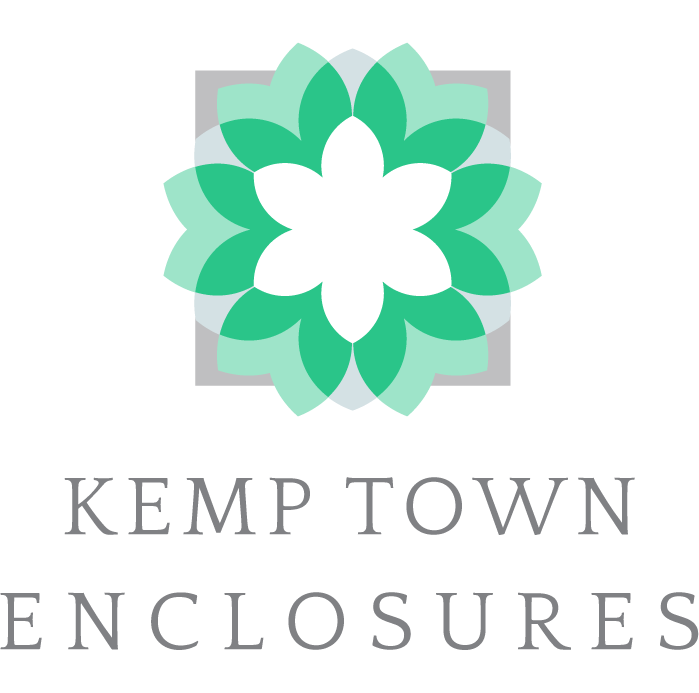 The Enclosures cover 7.5 acres, divided by Eastern Road, and were intended to be the focus of Thomas Kemp's development. Henry Phillips, a local botanist and landscape gardener, designed the original layout, with the assistance of surveyor Henry Kendall. More than 20,000 plants, including semi-mature trees and shrubs, were needed. The tunnel in the south garden leading to the Esplanade is rumoured to have provided inspiration for the rabbit hole in Lewis Carroll's Alice in Wonderland. Carroll (the Rev Charles Dodgson) often visited Brighton to meet his friend, the Rev. Henry Barclay, who ran a boys' prep school at 11 Sussex Square some time between 1871 and 1888. William IV and Queen Adelaide, and later Victoria and Albert, enjoyed walking in the gardens on their visits to Brighton and the entire garden was set aside for the exclusive pleasure of King Edward VII when he visited his daughter at 1 Lewes Crescent (now Fife House) in 1908. The loo specially installed for the King in Fife House is still extant. Kemp Town Enclosures is a communal garden, owned collectively by the freeholders of the 105 houses that make up the Kemp Town Estate. Developed in the 1820’s by Thomas Kemp, the Estate consists of Sussex Square, Lewes Crescent, Chichester Terrace and Arundel Terrace. The gardens were landscaped in 1828 by local horticulturist Henry Phillips at around the time that the Kemp Town Estate was being constructed, with the tunnel to the esplanade being added in about 1830. William IV and Queen Adelaide, and later Victoria and Albert, enjoyed walking in the gardens on their visits to Brighton. They were set aside for the exclusive pleasure of Edward VII in 1908 when he was staying with his daughter at 1 Lewes Crescent.